END of February and beginning of March is the time for garden and flower shows and exhibitions. Over the years the participation in flower shows and competitions is becoming more and more professional as is evident from the quality of the exhibits and their display. So, gardeners, you will have to be more careful. In the cut-throat competition, the judges find it quite difficult to select the best. Since the shows like the Festival of Gardens have attained national stature, there is a need to put in more professionalism, and the criteria for selection made more strict. For example, there should be uniformity of the size of pots as it becomes difficult for judges to compare a 10" pot with a 12" pot for the same exhibit as the two could never be the same in getup. Similarly, in certain flowers like petunia, all single and double types are included in the same class and the best of those in singles category are ignored in preference to double types. There should be separate categories. 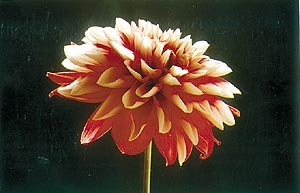 Likewise, in case of dahlia, the exhibition type (the giant size) dhalias are compared with pompons (the miniature) types. In bonsai section, too, there is no categorisation and the same types, with size no more than five to six inches are clubbed with various other categories. Certain plants that are not even foliage plants are allowed to enter such categories. An award given to such groups becomes a matter of controversy. In case you are participating, be very sure that the pot provided by the organisers for cut flower section is not leaking or unstable. Also make sure it is able to take the weight of the blooms (especially stocks, dahlia, gladiolus, gainda etc). I have seen many a time that by the time of judgement, half of the pots fall down spoiling blooms that were sure to get a prize otherwise. Do not fill sand etc, to make it stable as big blooms need a good amount of water, and if there is less or no water the blooms may sag. 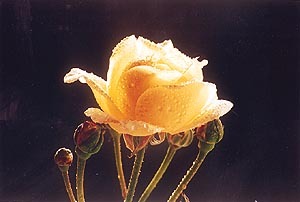 Always carry more number of blooms for the display, as you may damage a bloom in transit. While displaying try not to crowd. It is better to remain near your exhibit till the time you are asked to leave. Most of the time other participants keep shifting your specimens to accommodate their own. There are certain observations to be made to avoid disqualification. Always display the requisite number of sticks in case of cut flower and pots in case of potted plants category. Also make sure you have kept your exhibit in the specific class. Affix proper label, and give only the information required in columns. Do not put any sign or name on it. Also make sure it is properly secured. In case you have more than one good specimen in a particular class or category, enter these by a different ticket number in the name of other member of your family. You stand a chance to get both the first and second prize. Do not ever try to fill the pot with annuals lifted from soil. Judges can identify such plants easily. You stand no chance of getting a prize on such exhibits.